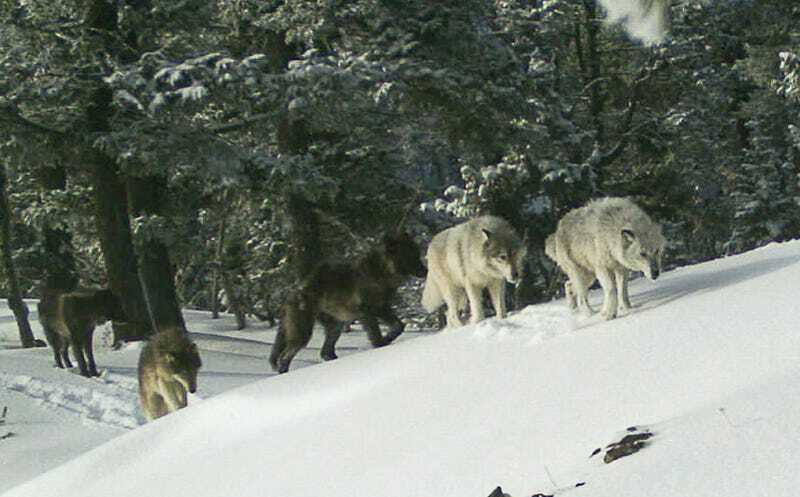 These wolves reside in Oregon. A couple weeks ago, the Spanish newspaper El Pais caught up with Marcos Rodríguez Pantoja who in 1965 was discovered in Spain’s Sierra Morena mountains living with wolves. It was later revealed through several investigative projects, including the 2010 documentary Among Wolves (Entrelobos) that at the age of about six, shortly after his mother died and his father sold him to a local farmer who then passed away, Pantoja went to go live in the mountains with a pack of wolves for the next 12 years. On Wednesday, in dialogue with the El Pais article, The Guardian published a piece titled “Would we all be better off living with wolves?” which curated testimony from people who had tried to enter human society following a lupine upbringing (there are very few documented cases that fit the bill). Of the cases examined, it appears that all which were conclusive favored wolf life. This anecdotal evidence doesn’t necessarily persuade me that living with wolves is preferable to living with humans (the possibility of trauma seems like it would be strong in either case), but it’s telling that the two are being compared at all. I encourage you to read the entire profile in El Pais.